Joliet, Ill., November 17—With the inaugural season of the Lucas Oil Performance Open Wheel Racing, Inc. (POWRi) Pavement Midget Series completed, top drivers, including champions Billy Hulbert and Taylor Fenske, were honored at the series’ banquet and awards night here at Heroes West Sports Grill Saturday evening. 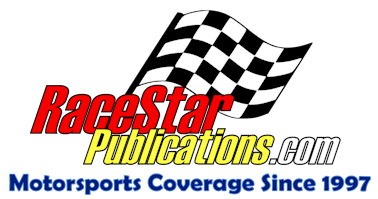 Hulbert, the 28-year-old speedster from Channahon, Ill., was crowned the overall champion of the series, capturing three feature races on his way to the title. A veteran of 13 years of midget racing, Hulbert wheeled his Troutman Excavating/Lallos Bar and Grill/Color Transport/ McCoy Service/Washington Street Barbershop/Quik Sticks Graphics-sponsored, Esslinger-powered, No. 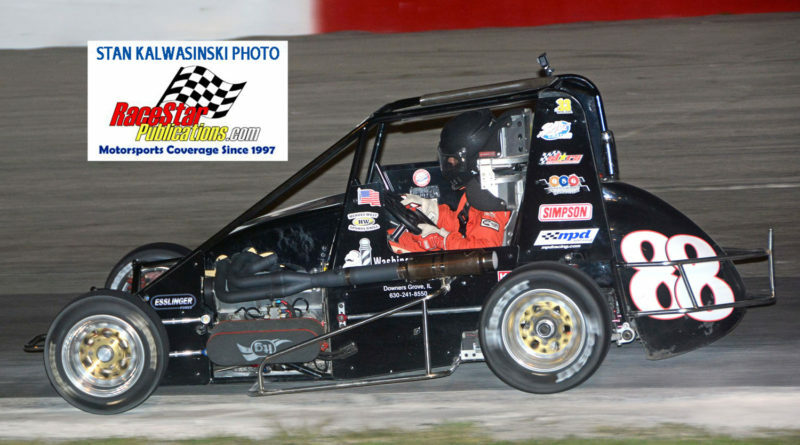 88 midget to his feature victories, all which came at the Grundy County Speedway in Morris, Ill.
Fenske, the 21-year-old female competitor from Oswego, Ill., was named the production-based engine champion for the pavement midget series. Fenske, driving her Double O Drum Co./Tischler’s Meat Market-sponsored, GM Ecotec-powered, No. 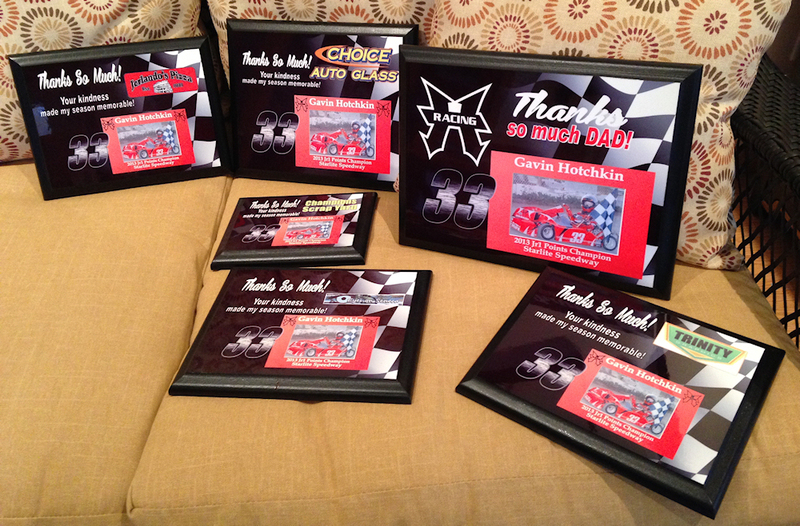 11, finished third in the overall POWRi pavement standings. 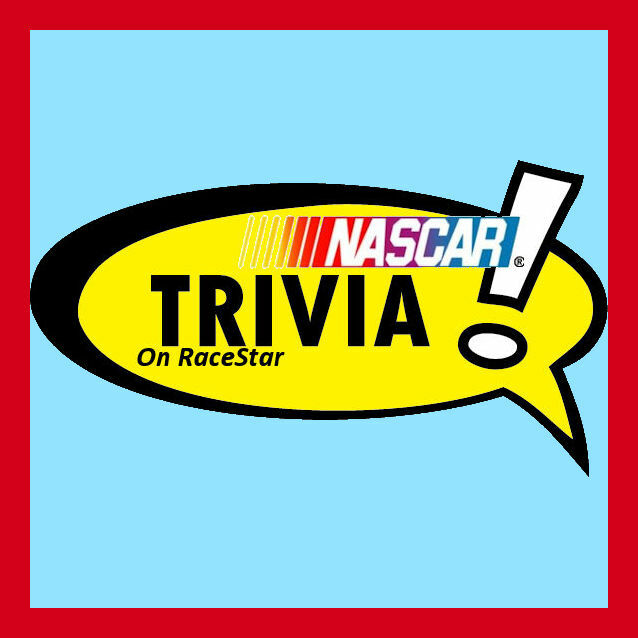 The top 10 in the final points were Hulbert, Tom Eyman, who won one feature race, Fenske, Ryan Shilkuski, Tom Schnabel, RJ Corson, Rich Corson, Mario Clouser, winner of two feature races, Jimmy Anderson, who claimed one main event win, and Kyle O’Gara. 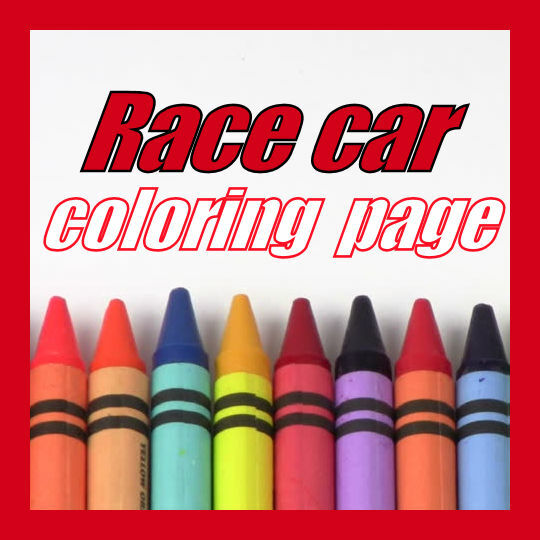 RJ Corson was named rookie of the year in the race engine ranks, while Shilkuski claimed the same honor for production-based engine racers. 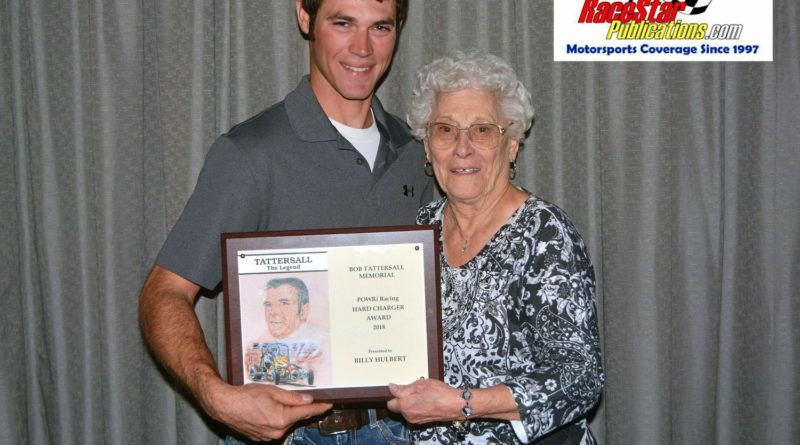 For the 27th consecutive year, the Bob Tattersall Hard Charger award was presented by Dee Tattersall –honoring her late husband, the former USAC national midget champion. Hulbert was the recipient of the special award, the second time in his career. Kenny Brown, head of POWRi, presented trophies and point fund checks with Mike Motherway handling the master of ceremonies duties. Former area midget champions, Bob Richards, Wally Lambert and Ryan Probst, were among those in attendance. 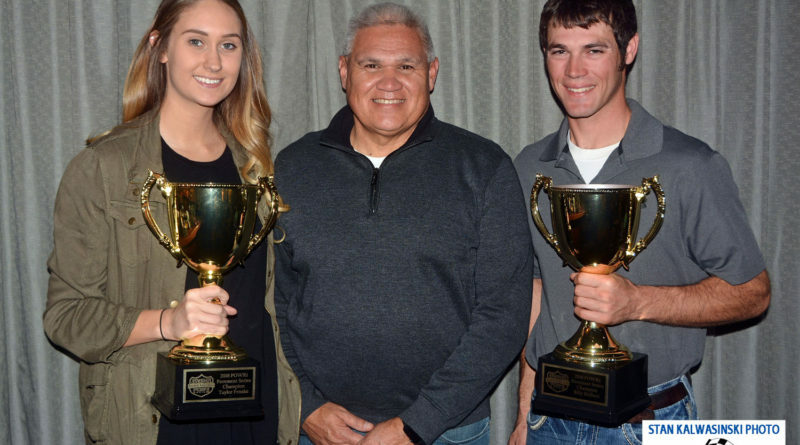 Kenny Brown, head of the POWRi racing group, poses with champions Billy Hulbert and Taylor Fenske after both drivers were honored at Saturday’s banquet and awards night for the Lucas Oil POWRi Pavement Midget Series. 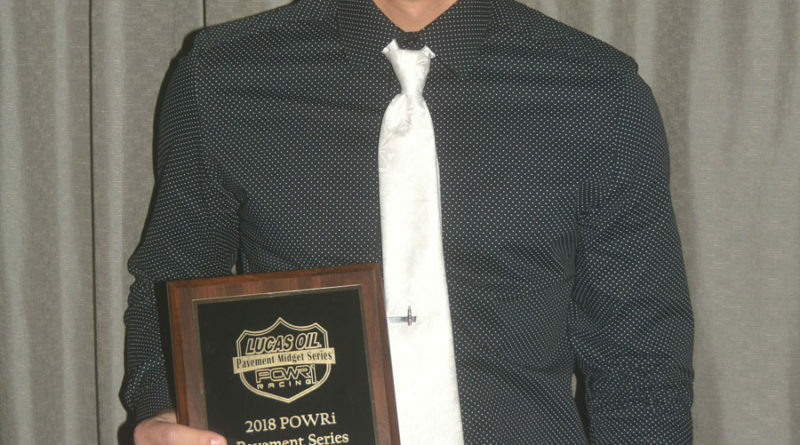 Billy Hulbert (88) was the 2018 Lucas Oil POWRi Pavement Midget Series Champion. 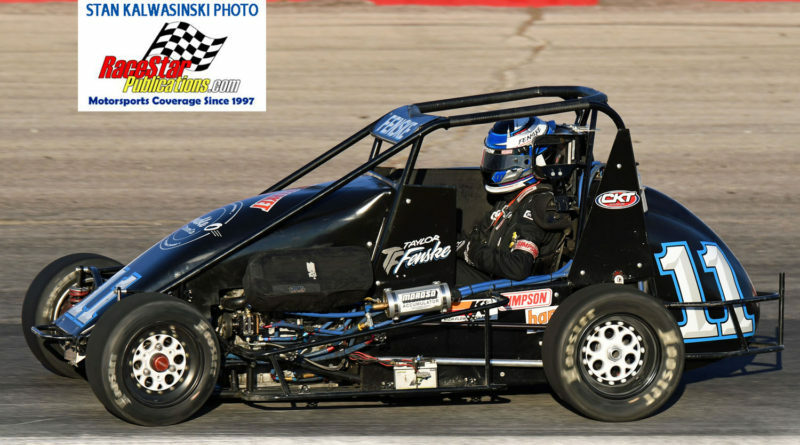 Female racer Taylor Fenske (11) was named the production-based engine champion for the Lucas Oil POWRi Pavement Midget Series. POWRi pavement midget champion Billy Hulbert also was presented the Bob Tattersall Hard Charger award with Dee Tattersall making the presentation. Ryan Shilkuski picked up rookie of the year honors for production-based engine competitors. 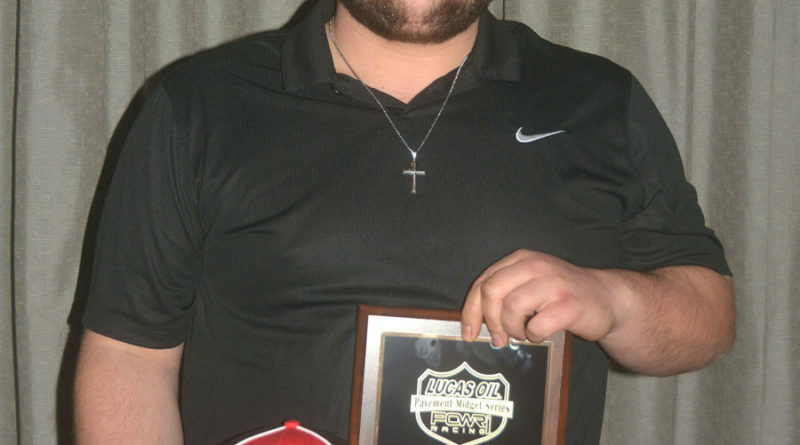 RJ Corson was named rookie of the year in the Lucas Oil POWRi Pavement Midget Series ranks.